After visiting a lot of Asian countries around Taiwan hubby and me finally decided to visit Hanoi City in North Vietnam. We chose Hanoi due to its flight path and reputation for being the hub of traditional Vietnam culture. 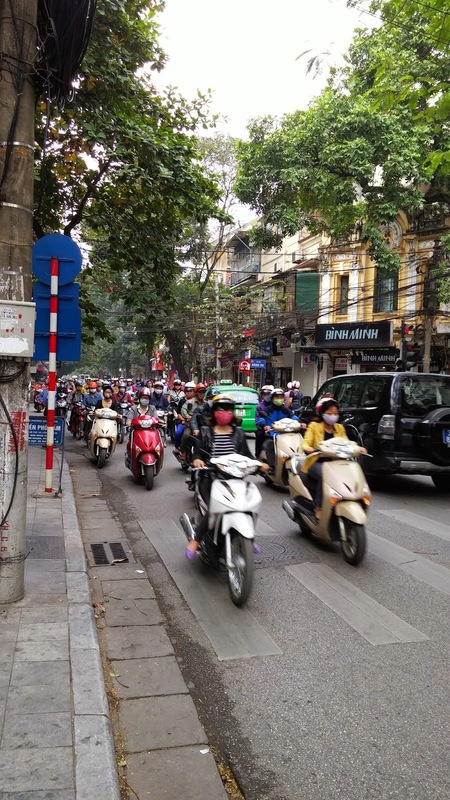 The country in general and Hanoi in particular, is humming and buzzing with traffic. A steady stream of motorbikes, rickshaws and cars driving around in both directions. Stepping out onto the streets of Hanoi for the first time is a little overwhelming to say the least. The biggest impression for me was the manic traffic which makes just crossing the road an adventure in itself. Not to say it was a fantastic trip overall!! 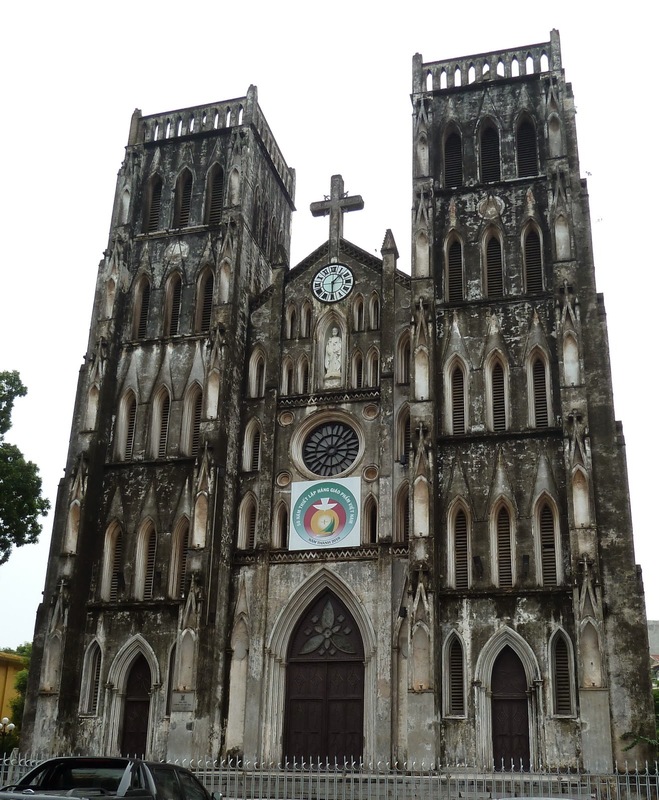 There is a lot to explore in Hanoi... you can get a lot of information online about what you would like to see. We had decided on a few important places to see and explored few more while traveling around. Places are easy to find with the help of GPS and the markings on the map. We planned a 4 nights stay and it was an awesome experience. I have first listed down our day wise itinerary and have mentioned the other details like hotel accommodation, transportation, airport transfer, maps, useful links and overall expenses at the end. 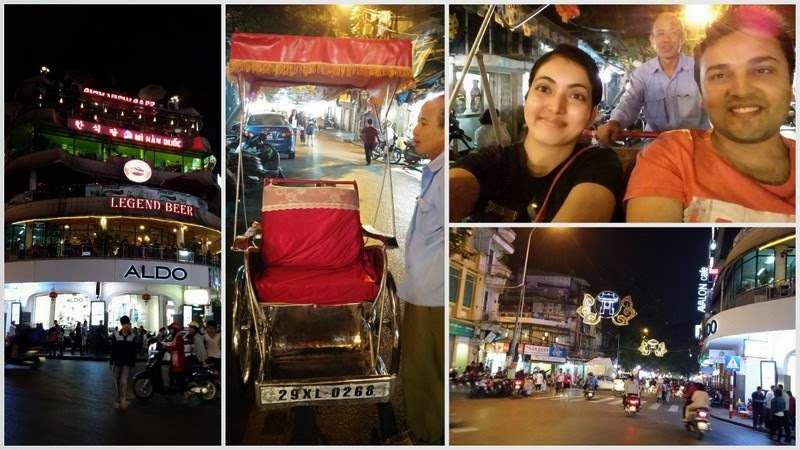 We spent the day exploring Hanoi on a rickshaw. And I should add that it is the best way to do it. The culture is so alive and refreshing with numerous coffee & pastry shops along with street markets and great food. The slow paced rickshaw allows you to absorb the city, the feel and you can take breaks in between to visit the temple, or to shop or to have an awesome Vietnamese spring roll ice cream! 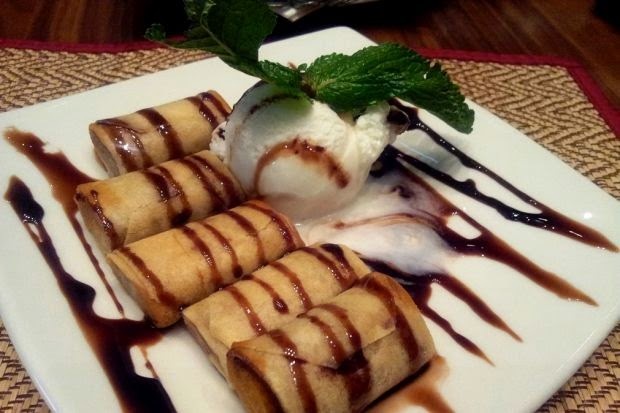 One can find several dining options in the city from flavorsome local food to a variety of continental and western dishes. 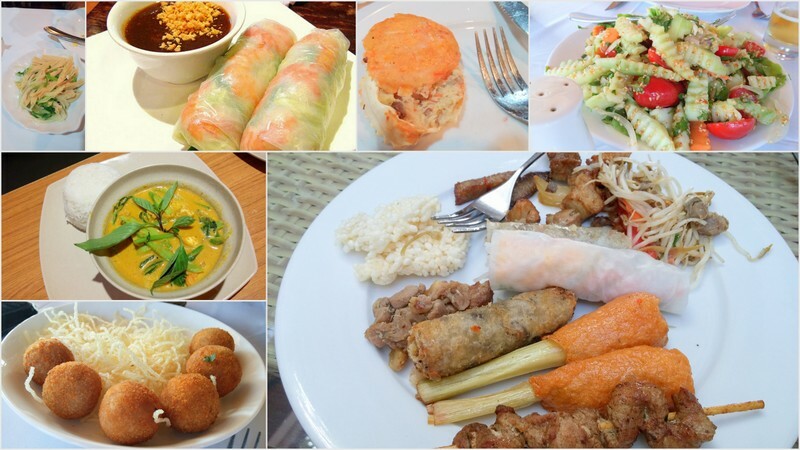 Also easy to get both vegetarian and non vegetarian food. Loads of scooters here.. Even more than Taipei & Mumbai I must admit!! We were totally unprepared for how enchanting Vietnam would be. Hanoi was but a tiny taste of the intense charm that awaited us as we continued to travel South along the country’s coastline… Next stop Halong Bay!! 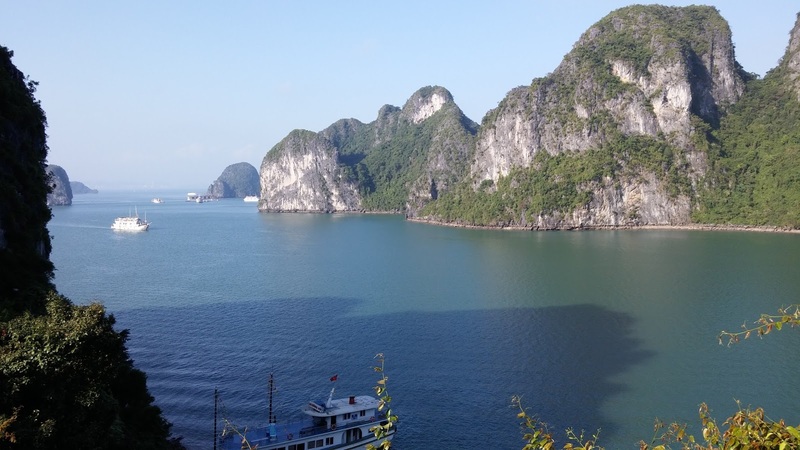 Ha Long Bay is hailed as one of the great natural wonders of the world. It’s high up there on many peoples bucket lists and this Vietnamese national treasure is unlike any other place in the world. So when we were planning our trip through Vietnam, there was no way we were going to miss it. 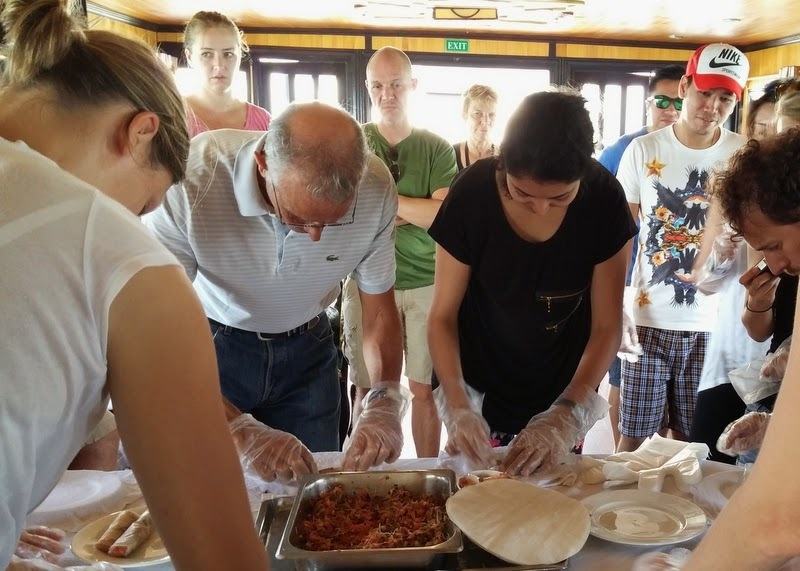 We booked this tour through our hotel staff which included pick up and drop till the cruise port by shuttle bus. The approximate drive was around four hours from our hotel. We opted for one night stay on the 4 star Galaxy Cruise. The journey which started from the time we boarded the cruise till we entered the bay was simply mind-blowing. The cruise had a fabulous sun-deck, cozy cabins and was fully equipped with all luxurious facilities. The staff on board spoke English, Vietnamese and French. They were extremely friendly and took good care of all our needs. We requested the staff for vegetarian meals for my hubby and they made excellent arrangements for the same. It was interesting to meet people from different parts of the world. In addition, there were exciting group activities like swimming, kayaking, trekking and squid fishing. Ha Long Bay is located in Quáng Ninh province, Vietnam. The bay features thousands of limestone karsts and islets in various shapes and sizes. The bay has a 120 kilometre long coastline and is approximately 1,553 square kilometres in size with 1969 islets. Because of their precipitous nature, most of the islands are uninhabited and relatively unaffected by human influence. Day 3 - We woke up to a beautiful sunny morning and witnessed the most mesmerizing view from our room. After a hearty breakfast we were all set for the adventures for the day - hiking, kayaking, swimming and exploring the surprise grottoes. Note : Please remember to carry mosquito repellent especially while visiting the caves and hiking. Honestly the place is very mystic and mysterious and beautiful; especially the floating villages... The surprise caves took the cake of the trip! The whole place was like set of Indiana Jones movie True to its name. Happy Ending!! After a tiring day (traveling for almost 4 hours) we decided to call off the day by pampering ourselves at the Spa. There are many spas in Old Quarter but our hotel staff recommended "SF Spa" which was around a 15 minutes walk from our hotel. We had to take a prior appointment and wait for about an hour. They specialize in Thai and Swedish massages.You are warmly greeted at the door and given tea while discussing your options. 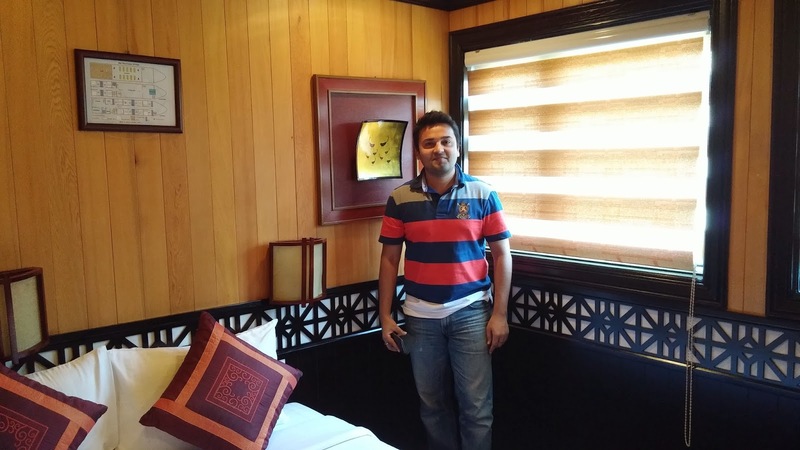 The setting is blissful, the treatment was indulgent and the service professional. Visit to Tam Coc! This was a day trip which we booked through our hotel staff. 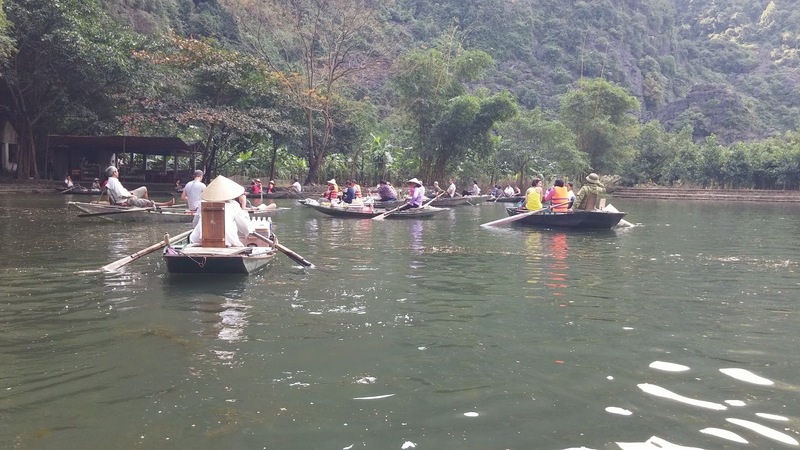 Having read so much about this place I was very fascinated to take the traditional boat ride that goes through the Ngô Đồng River. It took about 2 hours to get there by bus. On the way we stopped at one of the Ancient Citadel's where we were told about the first and second King (King Dinh and King Le) of Vietnam. It was good to learn some history around that. We then went to the local restaurant for buffet lunch. The food was simple & delicious. After lunch we went on the boat down the river. Pretty fascinating to see people row with their feet. 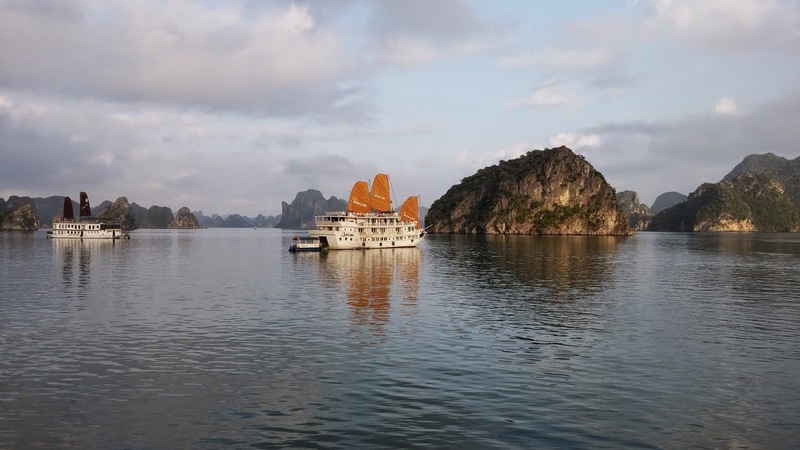 We were guided by the lady who row the boat to proceed through a scenic landscape dominated by rice fields and karst towers to some of the nicest viewpoints on the rocky limestone mountains.The boat ride was about an hour. Just be wary that there are a lot photographers taking photos of us and then asking you to buy it when you get back to shore. 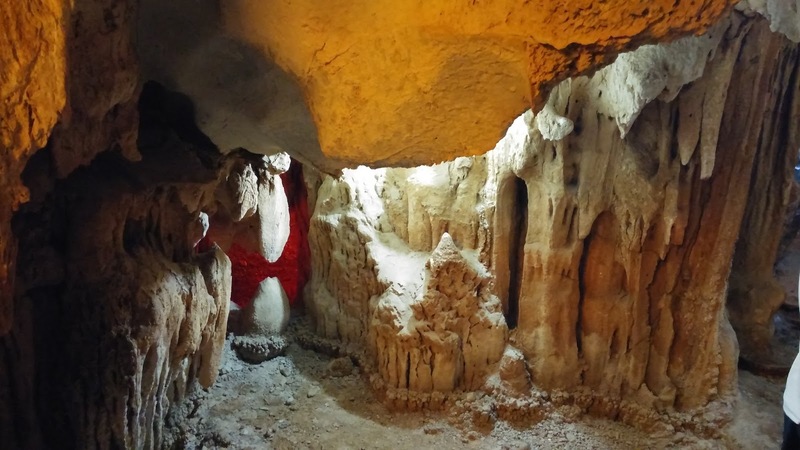 We went through three caves - Hang Cả, Hang Hai, and Hang Ba. It was very peaceful out there. 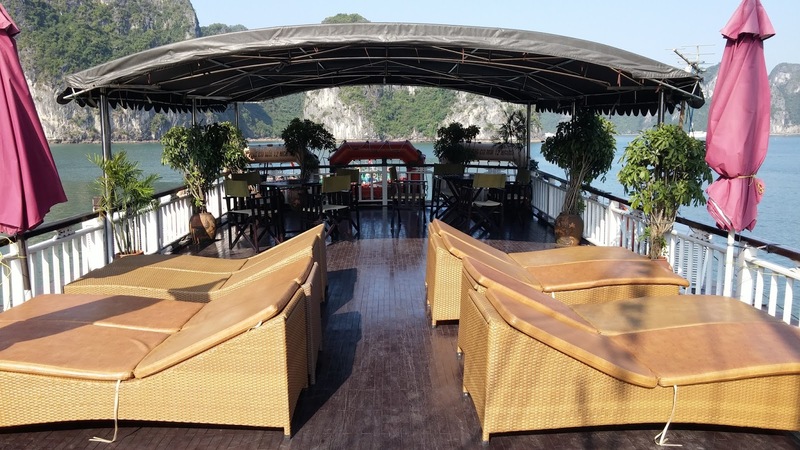 This amazing boat trip is ideally for all natural lovers, although, the weather is rather hot in the summer. Best time to travel are May, June, October, November, when the rice fields turn yellow. After the boat ride, my hubby went for a bicycle ride in the nearby village while I stayed back at the restaurant and enjoyed a coffee with my friend from France. It's a pretty scenic bike ride and there is also a photographer. Overall it was a nice visit to Tam Coc - people live a relatively simple life and they are very friendly and polite. Note : There are also options available to stay there for those who are interested in spending more time at the village. We spent the last evening exploring more of Old Quarter in Hanoi city. 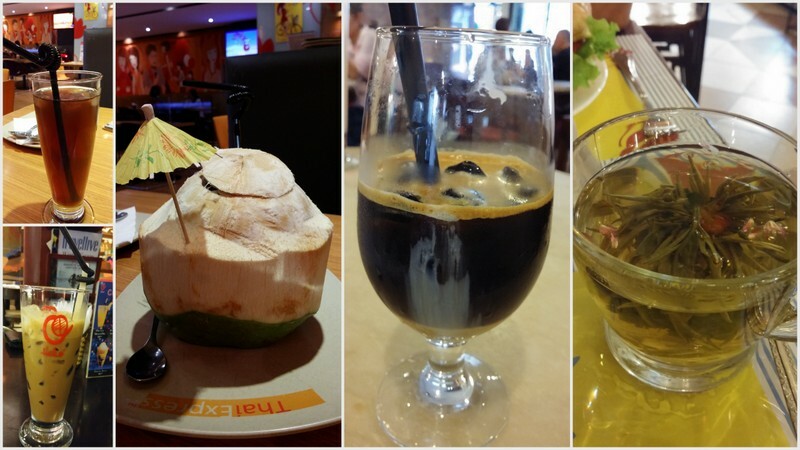 Walked around the shopping district and had a nice meal & drinks near Hoan Kiem Lake. Of course last but not the least we watched the spectacular water-puppet show and did some street-side shopping. 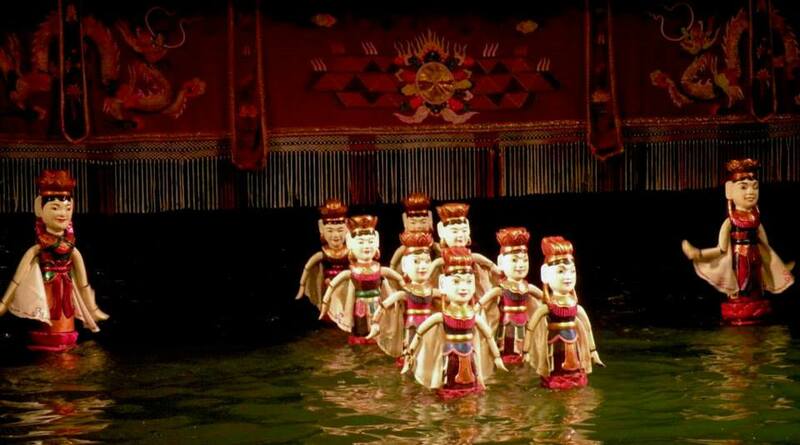 The tradition of water puppet theater stems from a time when rice paddy fields were flooded and villagers would make entertainment by standing in the waist-deep water with the puppets performing over the water. The show is about an hour's time and is totally worth-watching. Hoan Kiem Lake meaning “Lake of the Returned Sword” or “Lake of the Restored Sword”, is a lake in the historical center of Hanoi, the capital city of Vietnam. The lake is one of the major scenic spots in the city and serves as a focal point for its public life. A pleasant park in the center of town. It is the locals favorite leisure spot, and a great place to watch people practicing Tai Chi in the morning or to sit and read in the afternoon. Bye bye Vietnam! Thanks for the wonderful stay and yummy food. We applied for our visas online. The total visa processing fees was 50 USD for 2 people. Please refer to the above link for more details. We booked our flight through the above website. And opted for Eva Airways as they were offering the best rates then. The total cost for our flight was 391 USD. We currently live in Taiwan which is about 3 hours from Vietnam and hence the fares would differ country wise. We arranged for a taxi (pick up and drop from the ariport) through our hotel and it costed us 18 USD one way. The approximate time each way was around one and a half hours. The total cost for one night stay including pick up & drop from hotel, meals (excluding drinks & alcohol), kayaking, visit to surprise grottoes and cooking class was 340 USD for 2 people. The total cost for one day trip including pick up & drop from hotel, meals (excluding drinks & alcohol), visit to ancient temple and Tam Coc was 90 USD for 2 people. Price for 2 tickets is around 10 USD. 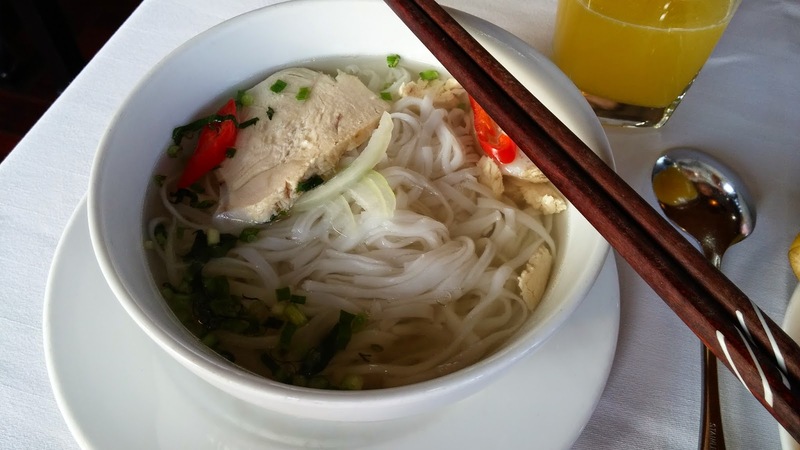 Generally tipping is not expected in Vietnam, but is very much appreciated.The most common situations to give tips are eating at restaurants, taking a taxi or hiring a tour guide. It all depends on the quality of services they provide you as well as your satisfaction. To a taxi driver, 50 cents to 1 USD is greatly appreciated, but not common. In a luxury restaurant, you can leave the change or a 50,000 VND note (about 2.5 USD) which is really generous. In some upscale spa or hotels, a service fee of 10% is often added, so tipping is not necessary. 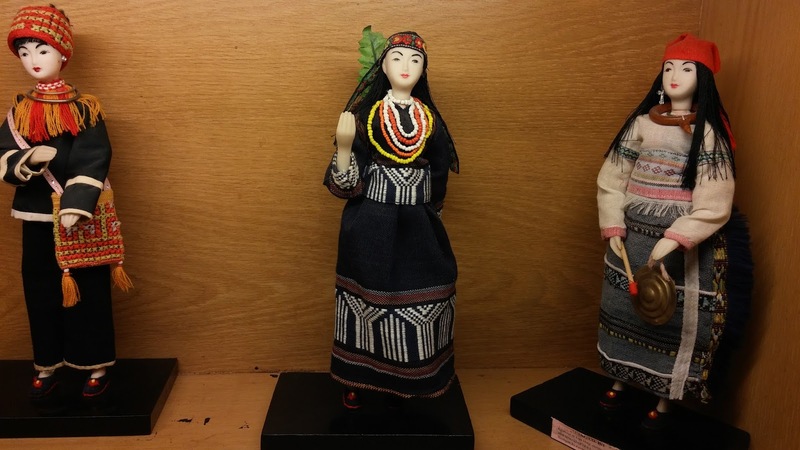 Vietnamese silk scarves, coffee beans, dry lotus seeds, silverware, paper mache art, bags, purses, shoes, clothes, traditional dolls, spices, mung bean sweets, magnets and other knick knacks. One can bargain and bring down the price at most the shops while buying in bulk. There are several counters at the airport from where one can pick up the tourist maps. 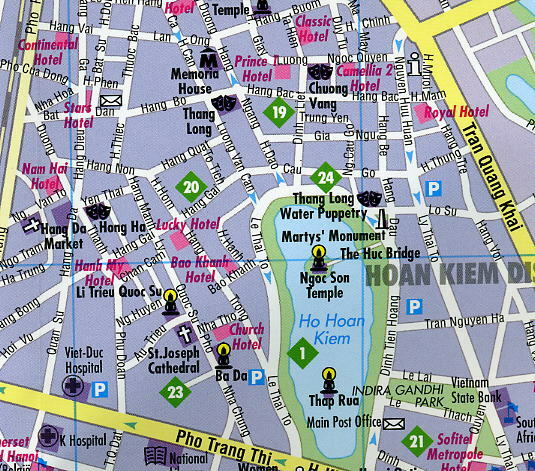 Most of the hotels also provide their guests with tourist maps and related information. Hanoi and North Vietnam has a distinct winter and summer season. The cool but mostly dry winter lasts from November to April when temperatures average 17-22°C with the coldest months being January - March. Summer lasts from May to October when it is hot and humid and the region experiences its highest rainfall. July to September are often the wettest months of the year. 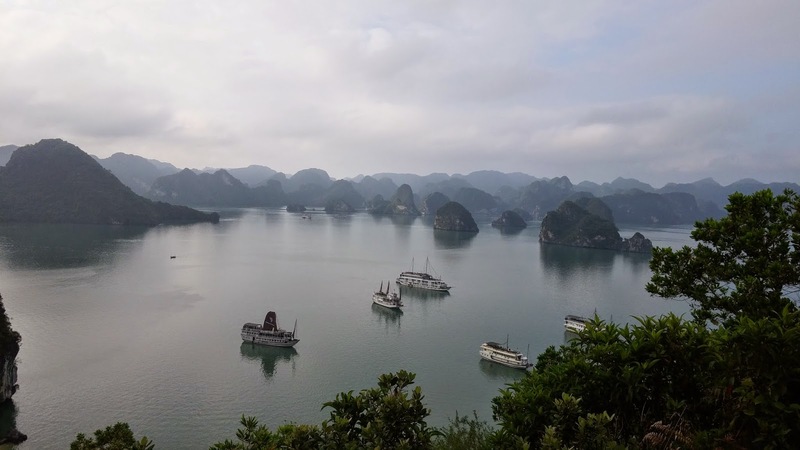 During these months severe weather can prevent junks sailing in Halong Bay although such weather is rare. Hope you enjoyed reading this post and found the information helpful. Please feel free to write to us for any further questions. Would also appreciate your comments and feedback. Hi Reni. Thanks a lot for your wonderful feedback! Hi Manoj. Highly appreciate your feedback! Yes the idea is to help first time travelers with all the required information.